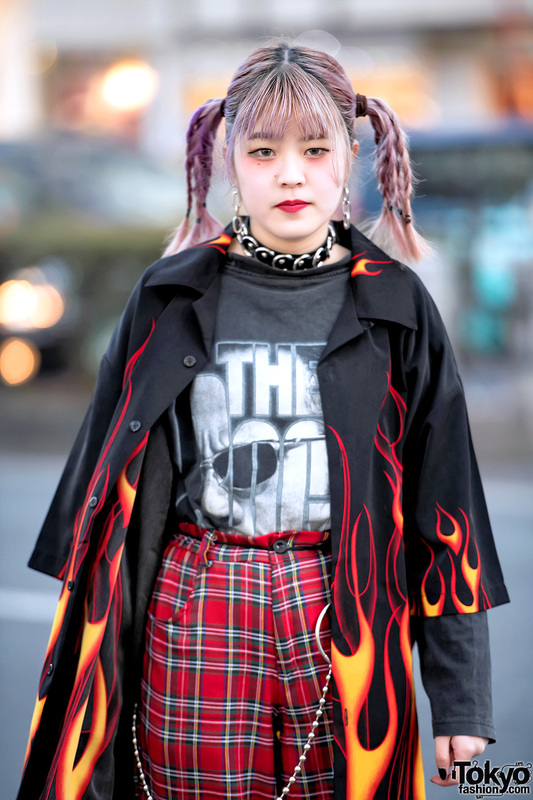 Megumi and Maria are two 15-year-old Japanese students who we met on the street in Harajuku. 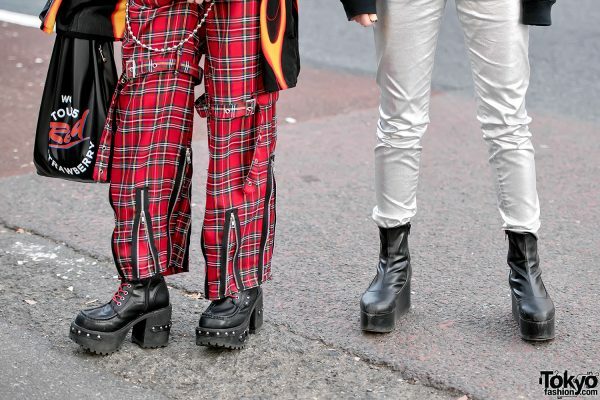 Megumi, on the left with pink hair in braids, is wearing an oversized flame shirt as a jacket, vintage red plaid punk pants, and platform boots. 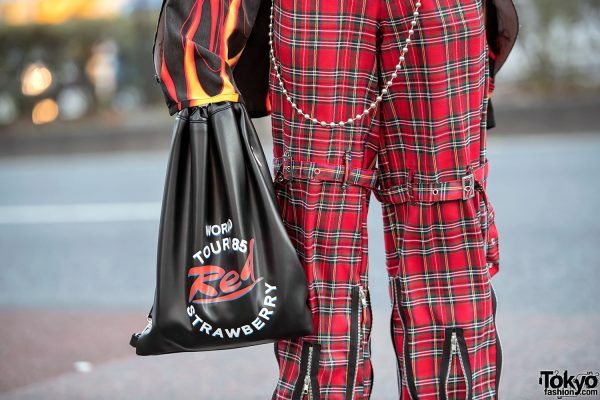 Her accessories – some of which came from Never Mind the XU – include a leather choker necklace, chain earrings, a belt chain, and a Kawi Jamele “World Tour” purse. 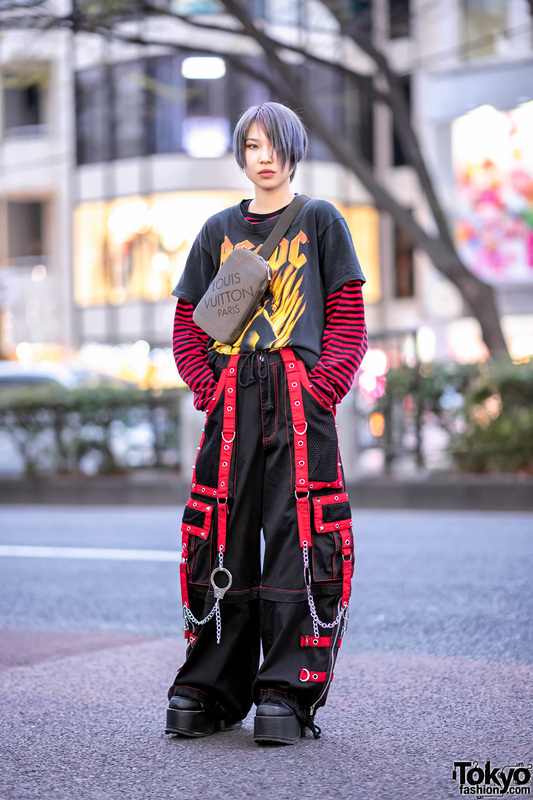 Megumi’s favorite shops include the Harajuku boutiques Faith Tokyo and Never Mind the XU, and she likes the Korean streetwear brand Open the Door. 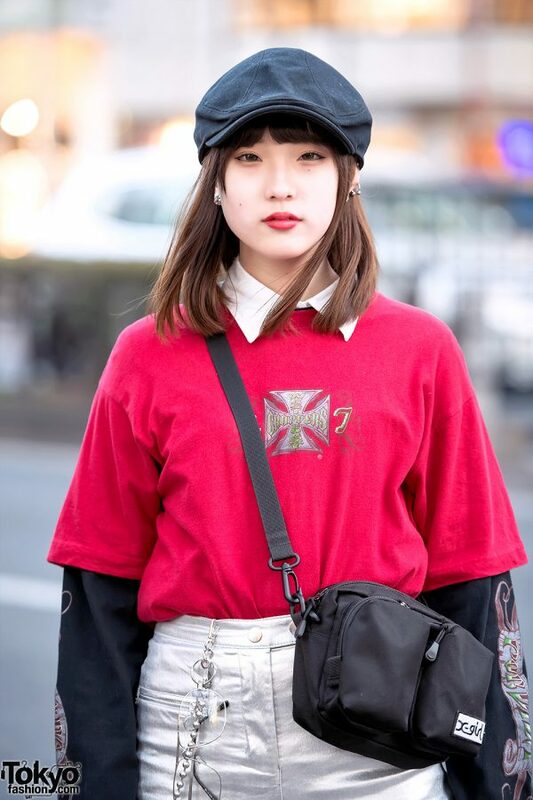 Follow her on Instagram or Twitter for more fashion photos. 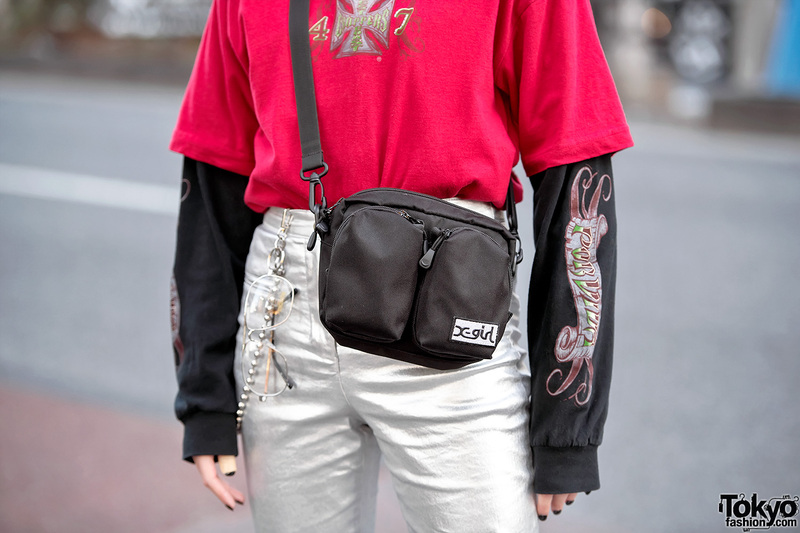 Maria – on the right with a black hat – is wearing a vintage West Coast Choppers sweatshirt from Faith Tokyo over other layered resale shirts with silver H&M metallic pants, and platform booties. Accessories include a chain wallet, oversized glasses, and an X-Girl shoulder bag. Her favorite Harajuku shops include Faith Tokyo and Oh Pearl and she enjoys listening to hip hop music. Follow her on Instagram or Twitter for more of her personal fashion. Click on any photo to enlarge it.